Ever since its formation, Ensemble Musikfabrik has had the reputation of being one of the leading ensembles for contemporary music. Following the literal meaning of its name, Ensemble Musikfabrik is particularly dedicated to artistic innovation. New, unknown, and often personally commissioned works in unusual media are typical of their productions. The results of their extensive work, usually taking place in close collaboration with the composers, are presented by the Cologne-based international soloist ensemble in about 80 concerts a year in both Germany and abroad, at Festivals, in their own series “Musikfabrik in WDR” and in regular radio recordings and CD productions. The musicians themselves take the responsibility for making all-important decisions. Exploring forms of modern communication, and new possibilities for expression in musical and theatrical areas, are a focal point. Interdisciplinary projects that can include live electronics, dance, theatre, film, literature and creative artists, along with chamber music, and the confrontation with works using open form and improvisation, extend the traditional conducted ensemble concerts. Ensemble Musikfabrik is supported by the state of North Rhine-Westphalia. Alejandro Guarello (1951): Born in Viña del Mar (CHILE) the 21th August 1951. His creative work includes more than 74 works of chamber and symphonic music, a lot of these have been performed in Chile, Europe, Japan and the United States. Moreover, someones have received differents awards and prizes in Composition's Competitions. There are three monographics CD and a severals records with his works Alejandro Guarello (1998), Retrospectiva (2000) y Nueva Música para Cuerdas (2014). Alejandro Guarello had developed a great activity as director of contemporary music. He founded and organized and directed the music composition studies at the Pontificia Universidad Católica de Chile and also founder and artistic director of the Contemporary Music Festival UC the oldest festival in Chile. Aliocha Solovera Roje (1963): Born 1963 in Santiago de Chile Solovera has had since 1987 a number of public presentations of his works in many parts of Europe and elsewhere in the world (Ljubljana, Viena, Copenhagen, Zagreb, Bucharest, Koln, Frankfurt, Den Haag, Madrid, Santiago de Chile, Sao Paulo, Montevideo, Buenos Aires, Mexico C.F., Melbourne and others) and he has had recorded for different radio stations such as: ORF-Austrian National Radio, WDR-West Germany Radio, HR Hessichen Rundfunk,, RTV Ljubljana-National Slovenian Radio, Croatian HRT, Romanian RTV, Radio Cultura FM of Sao Paulo, Radio Beethoven -Santiago, Radio Universidad de Chile. When still a student he has received a number of awards, including scholarship given by the Alban Berg Foundation, the Wurdigung award by the Austrian Ministry of Science (1993), Second Prize in the Slovene Republic’s First Musical Composition Contest (1993), Sao Paolo’s Lapandia Foundation Prize (2000); Charles Ives price from the Instituto Chileno Norteamericano (2003), Chile’s Altazor Award for direction of the Ensamble Contemporaneo (2003). Presently he is professor of composition in the Faculty of Arts of the Catholic University of Chile. Boris Alvarado (1962): Born in 1962 in Valparaiso, Chile. PhD in composition from University Fryderyk Chopin, Warzaw, Poland and Doctor © in Philosophy at PUCV-Chile. 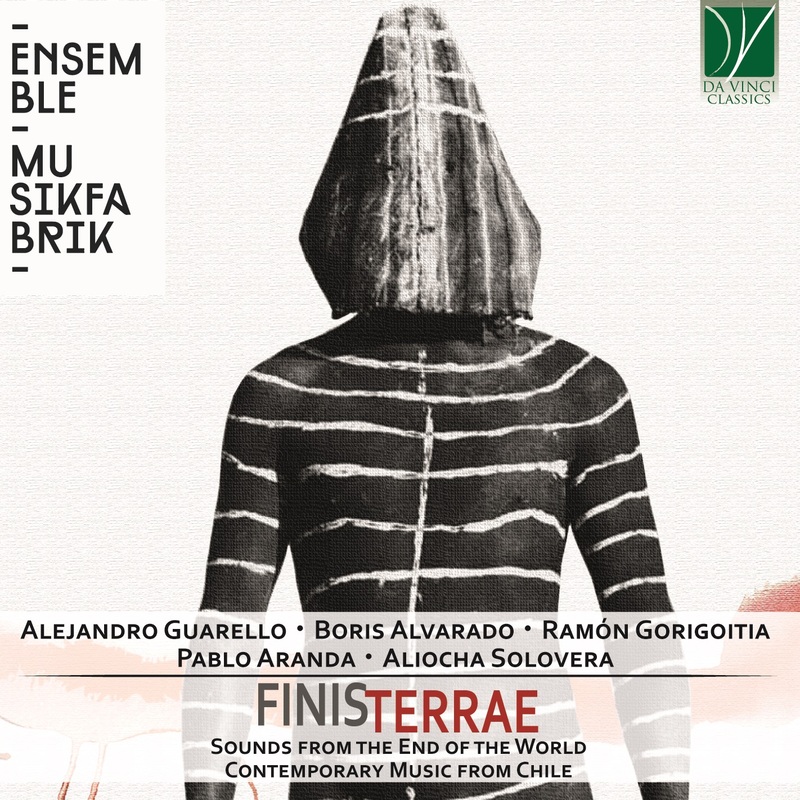 In Chile he studied composition with composers as Alejandro Guarello and Andrés Alcalde. In Poland with Krzysztof Penderecki and Marian Borkoswski. He takes part as composer and director in the concerts of Contemporary Music over the world. And he conducted many orchestras in America and Europe. Full time Professor of the Pontificia Catholic University of Valparaiso-Chile. He has been invited for lectured on contemporary Chilean music in the most important Music Academy. Similarly, his works have been released in several countries of America, Europe and Asia are being registered in several CDs, as well, as published books and articles of music and philosophy.